Let’s go to game four of the National League Division Series matchup with the Los Angeles Dodgers and the Atlanta Braves. 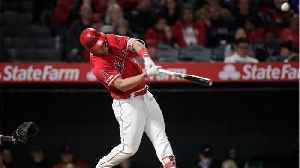 - - lets go to game 4 of this - national league division series- matchup - with the los angeles dodgers an- the atlanta braves......- the dodgers start scoring early- manny ma-cha-doe- knocks a double to the left - corner off mike folt-a-nev-ich- and max muncy comes home, 1-0 - los angeles.- down one-nothing, atlanta jumps- in front in the 4th. Two on - for pinch hitter kurt suzuki, - and he drives a single to left- field and two runners score,- braves go up 2-1. - now trailing 2-1, the dodgers - retake the lead in the 6th. - david - freese pinch hitting with two - runners on base, and he laces - the - go-ahead two run single to- center and l-a is once again on- top, 3-2. 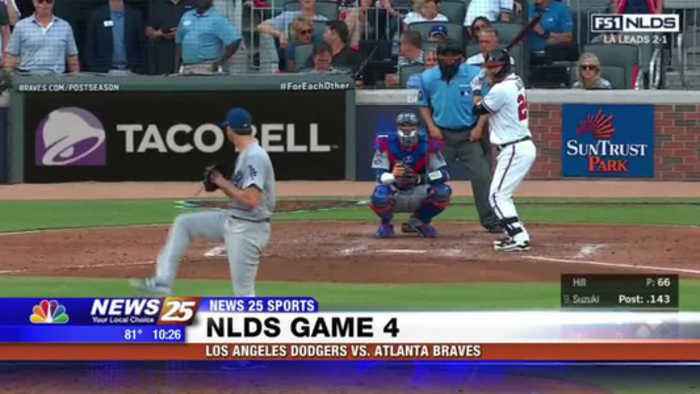 - - - - holding a 3-2 advantage, l-a- doubles its run total in the- 7th.- with two on, manny ma-cha- doe- parks the fastball into the - left field seats, and in the- words of jeff haeger see ya - ball!, 6-2- dodgers.- dodgers closer kenley jansen- closes freeman out to end the - game.... and the series. 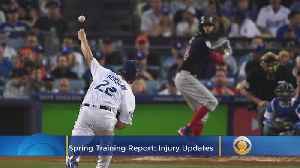 Los Angeles Dodgers ace Clayton Kershaw and New York Yankees ace Luis Severino are both nursing injuries heading into the 2019 MLB season. Matt Yurus reports.